This site is a goldmine of valuable information and I wanted to thank you for your amazing efforts. My fiancee and I along with a dozen other mountain hiking friends are planning a trip this summer and we have already booked tickets, local accommodations, and a mountain hut at the summit. We are planning two ascents, the first one being from the Gotemba Trail. In the section titled "What are the hiking distances from Mt. 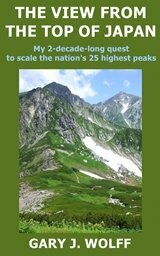 Fuji's 5th Stations to its summit and how steep are the various Mt. Fuji climbing trails", you list distances from the assorted 5th stations to the summit. After looking over other sites and blog posts in both English and Japanese, we believe that you may have gotten some incorrect data for the Hiking Distance. For example, the round trip is listed at 20km at this link which you shared for Gotemba: http://www.city.gotemba.shizuoka.jp/appeal/kanri/assets/uploads/2016/03/MtfujigotembaE.pdf. Since the distance going up is much longer because of switchbacks, my best estimate at the distance to climb is 12-13km for an approximate grade of 20%. It seems impossible that the hike up is only 7.8km, and the 30% grade you indicate seems to go against other sites that claim Gotemba is one of the flatter trails. Is it possible that you have the downhill distance listed for it as opposed to the uphill distance? I hand measured the downhill route as best I could using this map and it seemed to line up with my assumptions made above. Is there any authoritative source for precise trail distances? It seems impossible to find. This includes point-to-point distance between stations for Gotemba Trail like you had for Yoshida. Note that I am making these assumptions based on online evidence and not real-world experience. If you have hiked Gotemba and say it's a measly 7.8 km, then I'll trust that for sure. Thanks for your amazing site; we have learned so much already and feel far better prepared as a result. Comments for Are the Mt. Fuji hiking distance and % grade numbers accurate? Utilizing the https://maps.gsi.go.jp link you gave me, I decided to check the distance of all 4 ascending routes by hand. But after doing the first one, I found an even better site with a more accurate representation of the trails at this link (zoom in to see the trail lines): http://geojson.io/#map=14/35.3688/138.7324. I did not use the yamareco site as GPS is a poor method of measuring distance that often results in erroneously inflated numbers as a result of mountain terrain, commercial GPS accuracy issues, and "GPS jitter". Note that I mapped each route from their respective 5th stations to the point they touch the Ohachimeguri Trail, not all the way to Kengamine summit. I did this because each route ends up at different places that are different distances from Kengamine, but I feel the reason for the gradient numbers is to show how steep the individual trails are by themselves. I did measure the distance to the summit from each top-out point, but the elevation gain after that point isn't even 100 meters, though the final ascent from the south is very steep with a 41% grade (22.3 degrees). Also note that the Yoshida trail I routed at first glance seems to start at the wrong place, but people are bussed to a starting point not near the parking lot, hence the discrepancy from other trails. I confirmed that the elevation at that point is the elevation of the 5th station trail start location. After mapping each of the 4 trails plus the Hoei traverse, I recorded the distances and gradients in an Excel sheet, also listed in degrees after converting using the "arctan x" function, and also exported all route maps to geojson, topojson, and kml formats. I zipped that all up and will send to you via a method of your choosing if you would like the results of my work. Gotemba - 10.1 km to rim, 23.1% grade, 13 degrees, 0.6 km additional to summit from south side. Note that the first half of Gotemba is less steep, but the conditions are difficult due to the texture of the ground there (similar to a beach from what I've read). Once it gets steeper, it is likely similar to other trails from their typical 5th stations, but I have not confirmed precisely. Subashiri - 6.8 km to rim, 26.1% grade, 14.6 degrees, 1.1 km additional to summit from north side. Yoshida - 5.0 km to rim, 29.4% grade, 16.4 degrees, 1.1 km additional to summit from north side. Fujinomiya - 4.62 km to rim - 29.8% grade, 16.6 degrees, 0.6 km additional to summit from south side. Hoei Traverse - 3.37 km including the out and back to the rim. I didn't check the elevation profile but there is some "down and up" action. On the geojson link I shared above, there are options at the bottom. OCM shows you the topo lines, which after looking carefully at, it seems all of the trails are essentially very similar in steepness once you get to the final 3 km. The OSM shows you where the stations are and the elevation they are at, though I saw at least one incorrect number on the Gotemba trail so YMMV. I will send you a DM thru your contact page with my email address so you can provide me a way to send those files. Zipped up it is only 64KB so Email should suffice. If you choose to incorporate any of this information into your site, you can do so without any restriction or citations. Looking forward to your response! Amit, I do not own the Mount Fuji Yama-to-kogen route map, but the few Y-t-k maps that I have used thru the years DO show contour intervals and elevations for most peaks, but only hiking times and not distances, as you can see a sample of toward the bottom of my Mt. Hijiri-dake page (be sure to click open the larger full-size image). 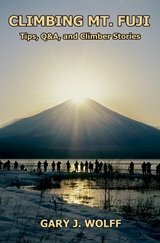 Yes, Jenny's story is quite remarkable as well, and she has also graciously shared her story in my Climbing Mount Fuji book. 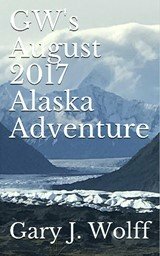 I also had the pleasure of having lunch with her a couple of years ago during my 2-week Alaska road trip which I wrote a book about. Gary, once again a huge thank you for the effort you put into keeping this site updated and replying to everyone's questions. We are all advanced hikers based in the Northeast USA so we're used to maps that plot distance and elevation gain precisely. Seeing minutes as opposed to km was a bit of a shock, but that zooomable topo map is pretty awesome and I'm going to geek out and measure the exact distance at some point. I think it is actually far better for the purpose than the yamareco site because GPS tracks are notorious for being inaccurate, especially with all of the switchbacks, but I'll experiment with both. However, I was actually wondering what you think we'll see from this route map that you mention on your site [Mt. Fuji (富士山) route map (part of the Yama-to-kogen Chizu series published by Shobunsha, available in bookstores and from Amazon Japan)]. We ordered a couple of copies of the newer version. But I'm guessing you're gonna tell me that it doesn't show distances/elevation like US hiking maps tend to, right? At some point, I may get all OCD on this and send you my findings to update on your page if you are interested. Another FYI, the link you have here on page 2 of the FAQ appears to be broken now: Mt. Fuji (富士山) topo map (from the Geospatial Information Authority of Japan). Perhaps replace it with the new link you sent me. 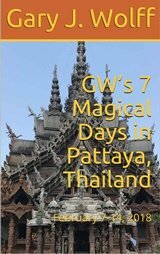 We watched David Wallace's video and read his trip report as well and it was both beautiful and helpful. We definitely will be incorporating some of his advice, and that of Jenny (https://www.garyjwolff.com/my-2012-climb-on-the-kawaguchiko-and-gotemba-routes.html) as well. 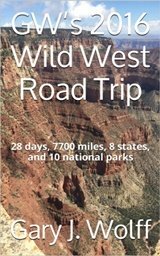 The 14 of us going may have an epic trip report for you as well come August. Yes, you may be entirely correct that the actual distance for the Gotemba Trail may be longer than 7.8 km, but I am not aware of any authoritative source that would show the exact trail distance, as most climbers are more interested in hiking times and the relative steepness of the trails. But if you wanted to totally geek out and are confident with your Japanese language skills, then you could consult the yamareco.com site that I used to compile the station-to-station distances for the Yoshida Trail. That site is where climbers share their hikes using actual GPS measurements, so obviously would be more accurate than trying to calculate them by hand on a 2D map. David also graciously allowed me to use his story in my Climbing Mount Fuji book. He is a professional musician in New York City and his own electric viola is the background music in his video on the page linked above.